This past summer I had the opportunity to take a two-week science and English integration class for teachers. It was an eye-opening experience to learn just how differently science and English brains work. As a fun way to wrap up our first Friday of this class, we did an easy oil and water experiment. 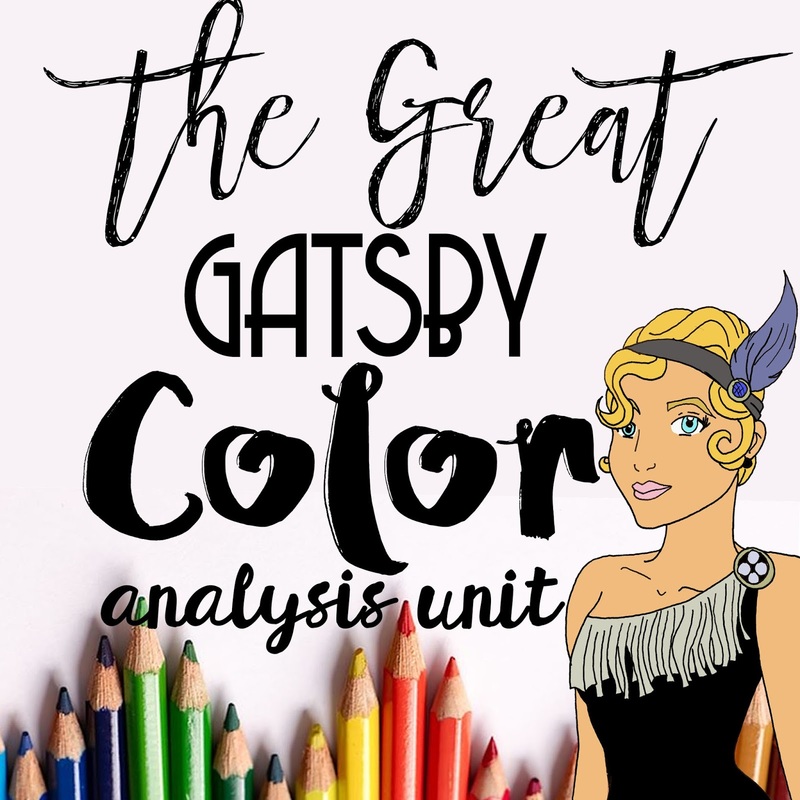 As I watched the mesmerizing colors seep down through the oil, I immediately thought of how I could use this fun experiment with my Gatsby Color Symbolism Unit. Five months later, I finally got to test out this lesson, and my students thought it was SO cool. It was a hit for sure! 1. First, I set the pre-filled water bottles out on their desks (I just asked my coworkers to save me their recycling). 2. I asked the students to predict what would happen when I poured the oil in the water. Most of them knew what would happen, but hardly anyone could explain WHY. So, I had them read an informational text on why oil and water don't mix. 3. 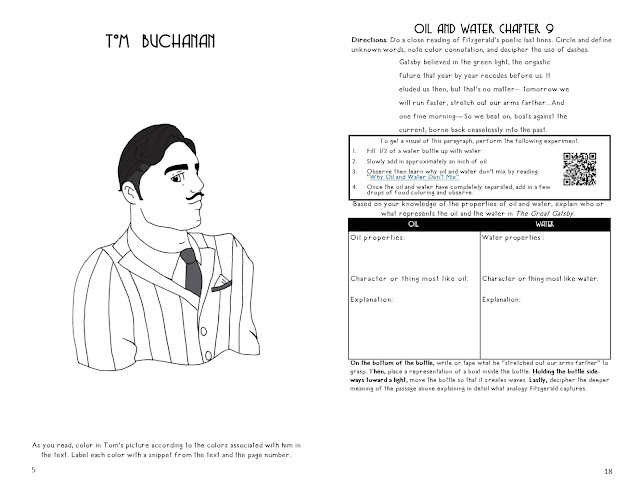 After reading, they filled out their flipbook page by writing down oil and water properties. 4. 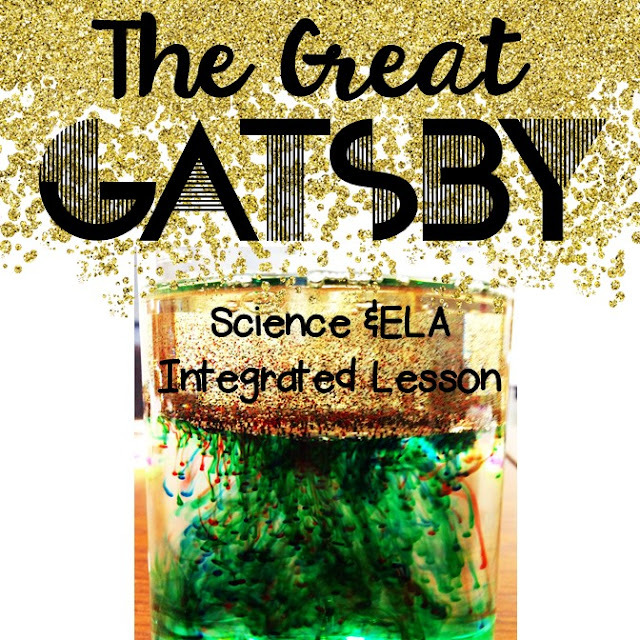 Then, they had to switch from their science brain to their English brain and decide who or what in The Great Gatsby represents oil and who or what represents water. 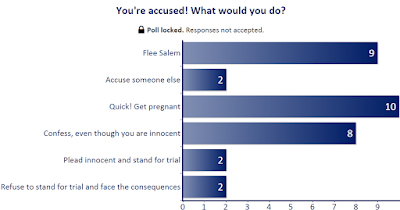 I had a lot of unique answers to this question, so the oil and water analogy really sparked critical thinking! One answer was that Daisy is the oil because she only cares about herself and is uppity (oil has zero charge, so it is only attracted to itself and sits on top of the water). 5. Next, we got to the fun part--adding the food coloring! Since we have been doing a color analysis of The Great Gatsby, I had students describe the symbolism of each drop of color before putting it into their bottle. 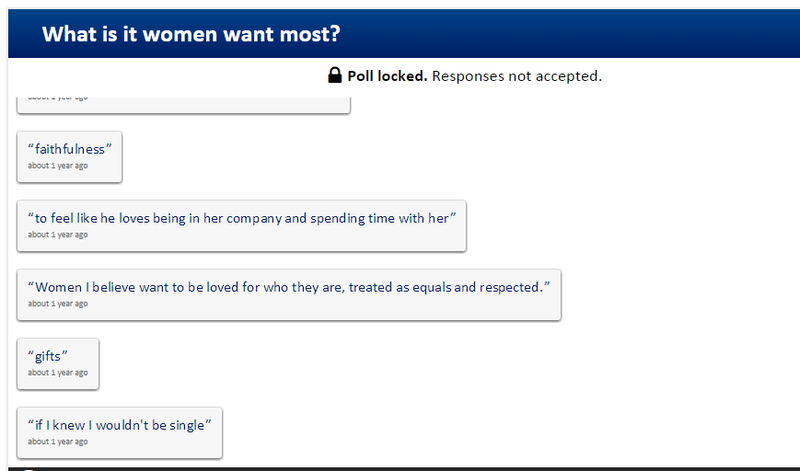 Again, lots of great discussion with this! Gatsby believed in the green light, the orgastic future that year by year recedes before us. It eluded us then, but that’s no matter– tomorrow we will run faster, stretch out our arms farther...And one fine morning—- So we beat on, boats against the current, borne back ceaselessly into the past. 7. Lastly, I had students add a small, plastic bead to the bottle to represent a boat.We then held the bottle on its side and created waves. I told the students to try and get the "boat" to the "light" at the end of the bottle. Of course, this didn't happen because the boat went against the current, "borne back ceaselessly into the past." 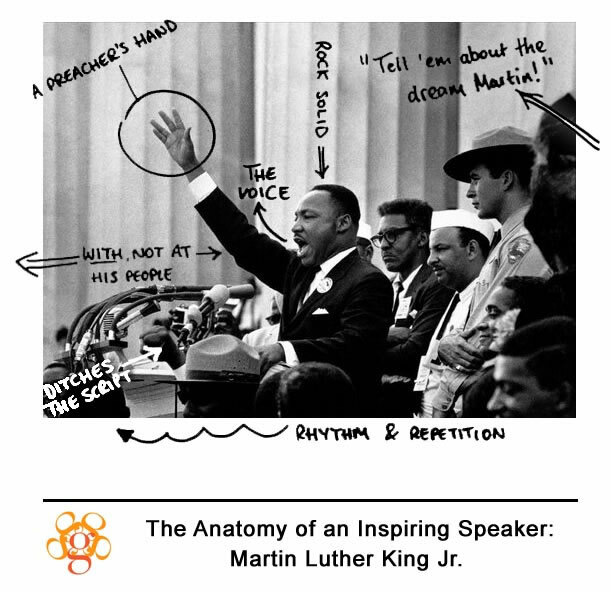 I have tried to teach this passage at least 10 times now, but this single activity brought it to life for my students. They really got it! 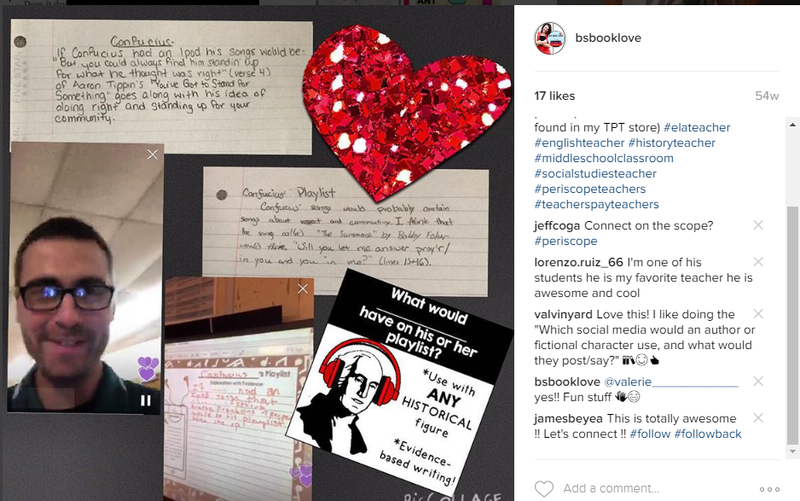 Visit B's Book Love 's profile on Pinterest. Raise your hand if you are tired of seeing elementary teachers getting to have all the fun around the holidays!!! 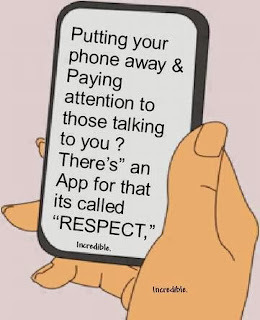 (both hands raised). I somehow got persuaded to teach at an after-school program for elementary students recently, and what amazed me the most from that experience was how EXCITED those little kids were over EVERYTHING. Why should the fun stop after 5th grade? Why can't secondary teachers help older students bring back a little of that enthusiasm for learning? 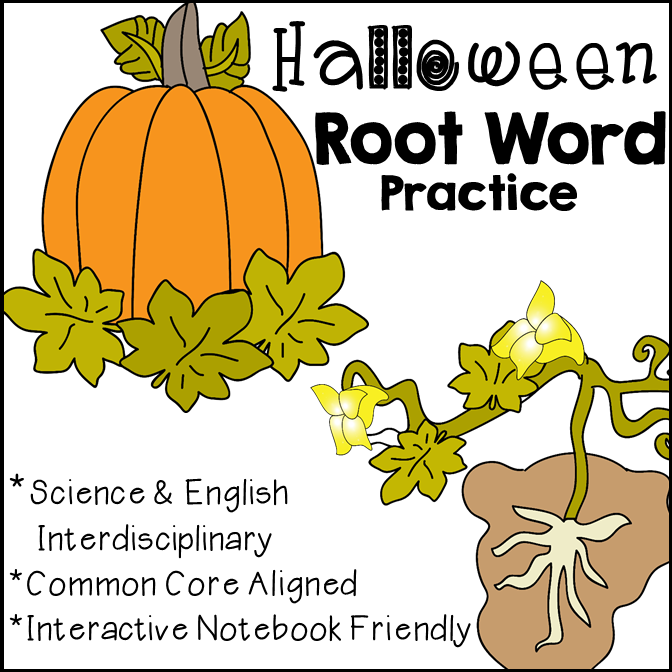 As a bonus, since I hate messing up my normal flow of lessons, these activities can be done with ANY piece of literature; this means you can use them no matter where you are in your curriculum when Halloween rolls around! Extend this lesson by adding in some informational text found here: 8 Ways to Release Ghosts from the Past and be Happy in the Present and having students apply that advice to their character in an informational writing format. 2. Work on writing revision by having students find overused words using a word cloud generator then replacing those words with more precise language. 3. 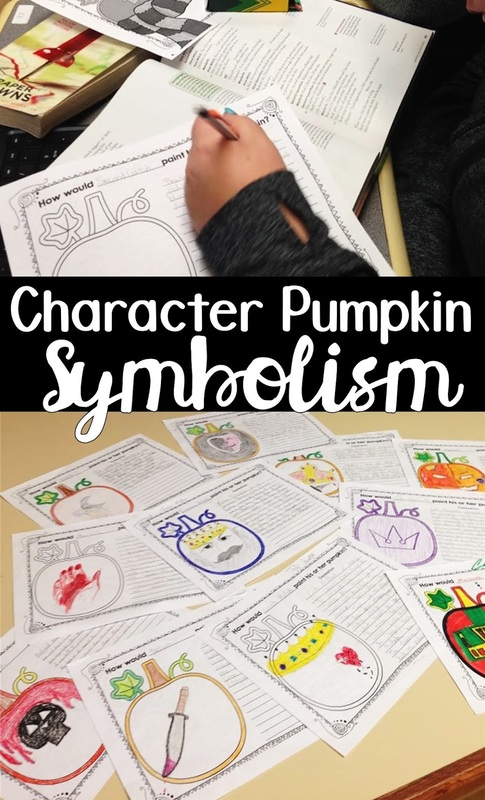 Have students think critically about symbols and color connotations by designing a pumpkin for a character or author. Don't you just love that Harry Potter pumpkin!? Also, I MUST tell you about my favorite YouTube station of all time. This extremely talented person has created hours and hours of Harry Potter Ambient Sounds and they are everything. 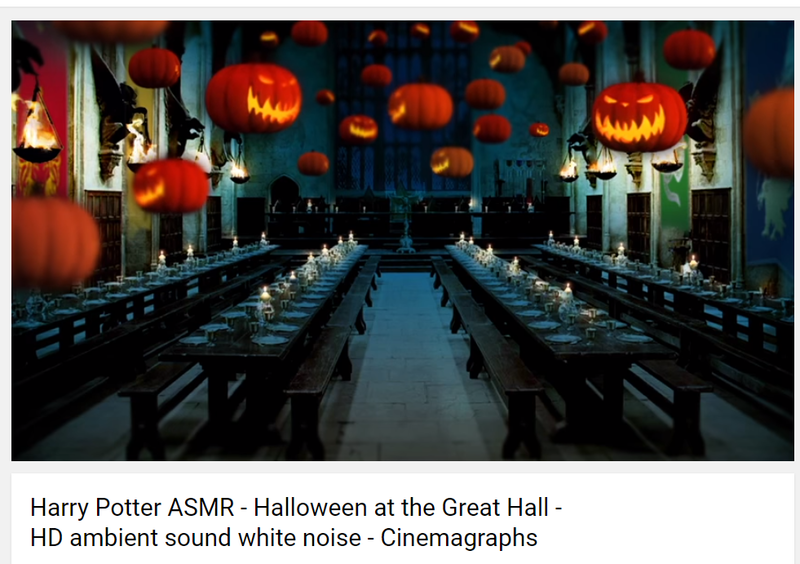 I'm playing this one on repeat on Halloween day. 5. Add creepy literary device posters for mentor texts and decorations. These are so fun to use with little creative writing assignments such as a response to a Poe reading or an original Halloween poem. 7. Tap into students' desire to dress up by acting out scenes from any story, book, or play. Any time students get the chance to put on silly costumes or props, they love it! This is my go-to activity for when my class starts feeling stale because it can be done on a whim (just have students make costumes using paper and items from your room), requires productive group work, and makes students read independently! 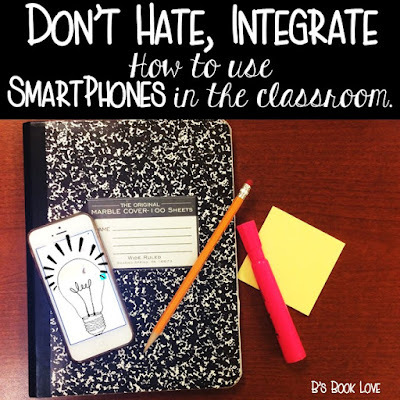 The key to this assignment is to make sure groups have a small, but important section to read then act out in ONE class period. If you give them until the next day, it's inevitable that a group member will be absent and their play will be "ruined." 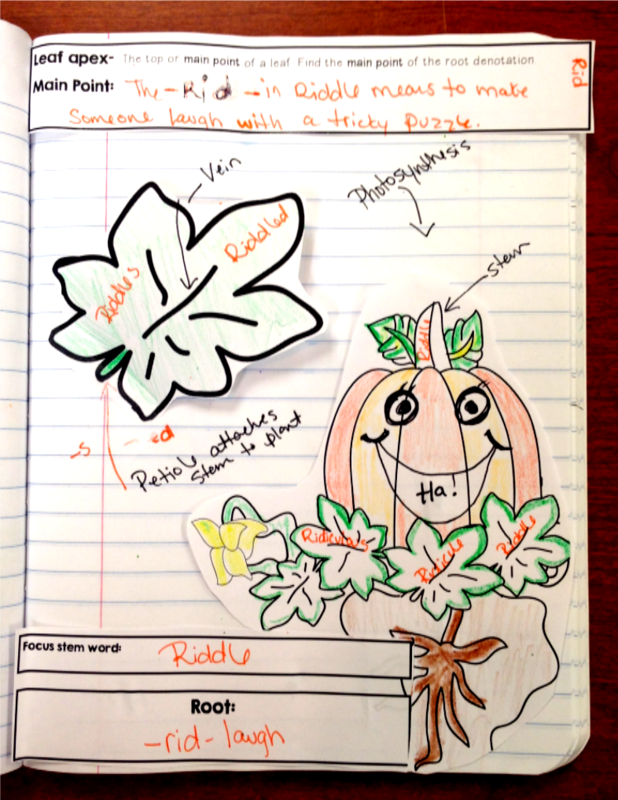 Plus, putting a pressing time frame on this assignments really brings out their creativity! 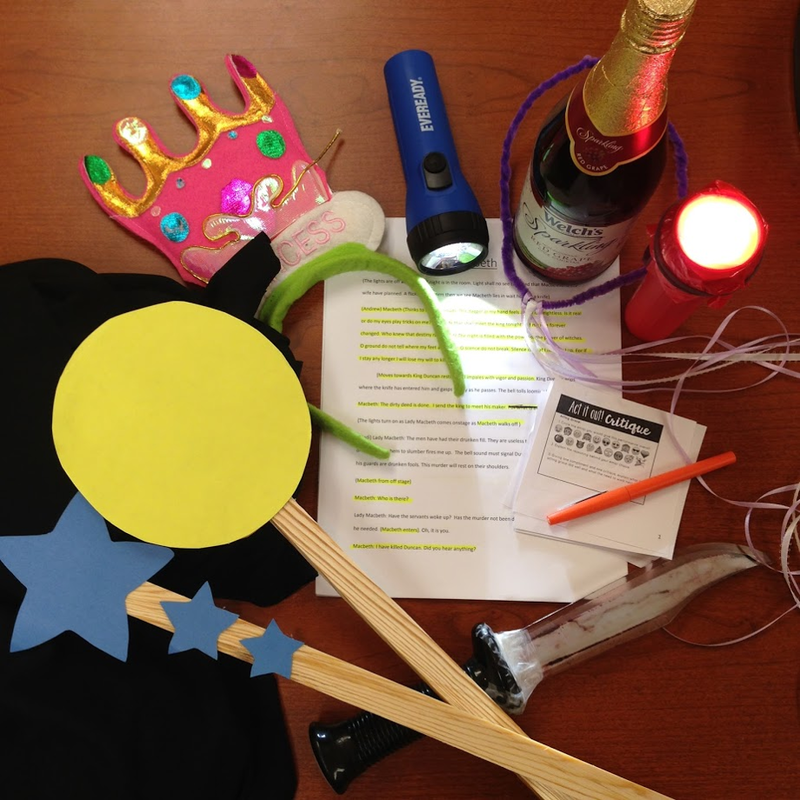 Students can use cell phone lights, music, and random items from your classroom to act out their play. 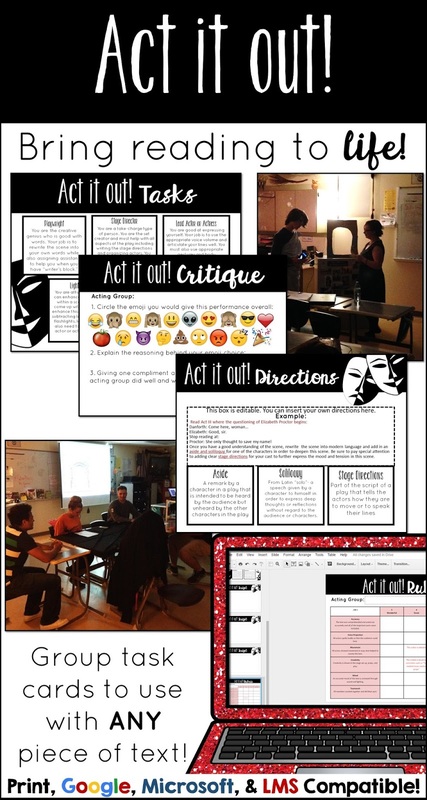 If you want a no-prep way to bring your text to life through mini plays, you can find my assignment here which includes task cards for each group member and emoji critique cards. 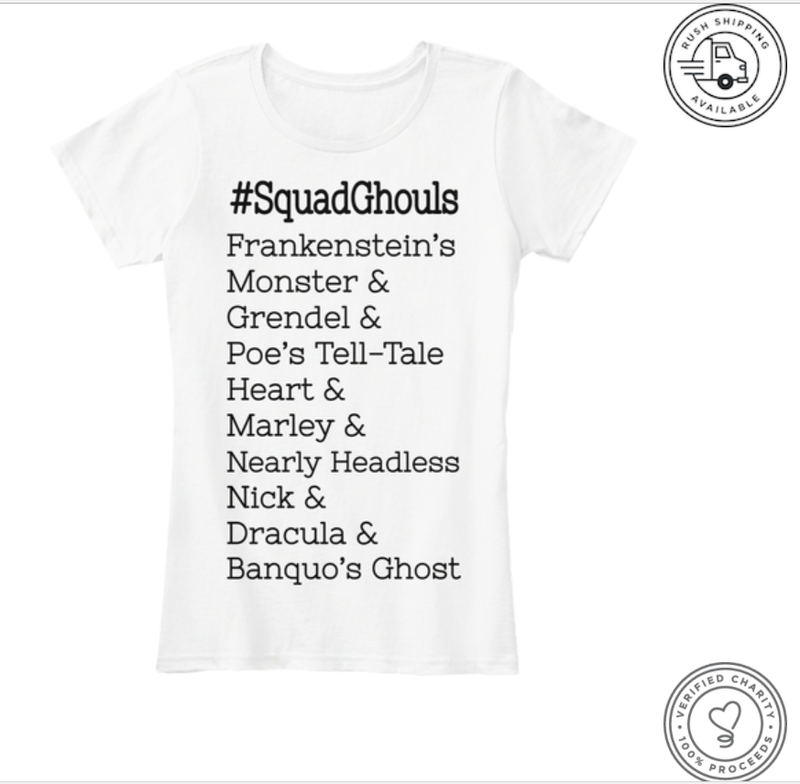 Lastly, here's this year's shirt for 2018! 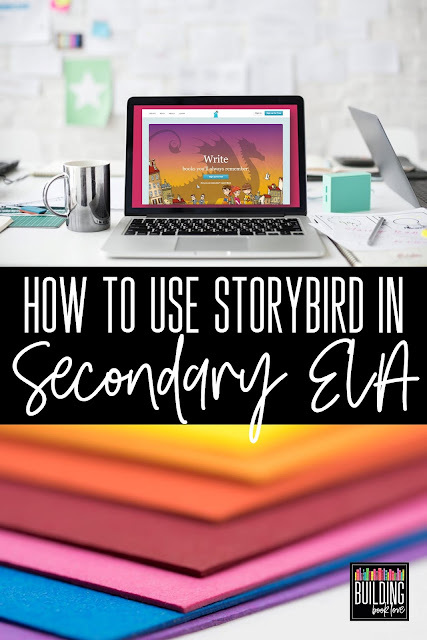 I've been using Storybird since 2012 with my high school students, and it's one of my absolute favorite websites. If you are a secondary teacher, you probably either haven't heard of this gem, or you think it's too elementary for your older students, but I hope this post will persuade you to give it a try in your high school or middle school classroom because it's seriously AMAZING. Basically, this is a free website that hosts artists' work and allows students to create poems, online storybooks, and long-form chapter books. The platform is really simple to use. Remember, it is mostly used by elementary students, so it's designed with a simple platform. The only thing that gets my students confused is that once they choose an artist, they must stick with that collection-- they can't pick and choose art from different artists. I actually find this to be a good thing though, or else they would spend way too long on choosing art and less time on the actual activity. 1. 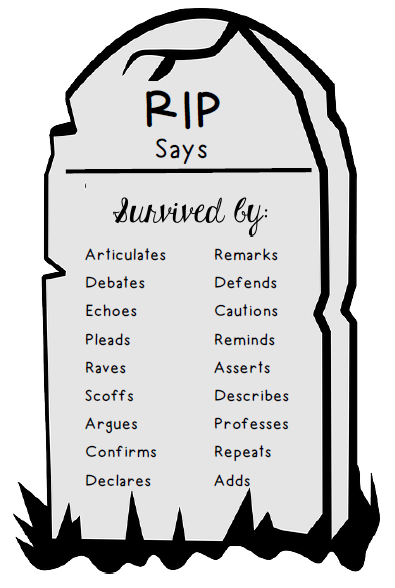 My number one use for this tool is to check for comprehension of complex concepts. For example, when we do our unit on Shakespearian sonnets, I have students choose a sonnet to reword into modern day language. 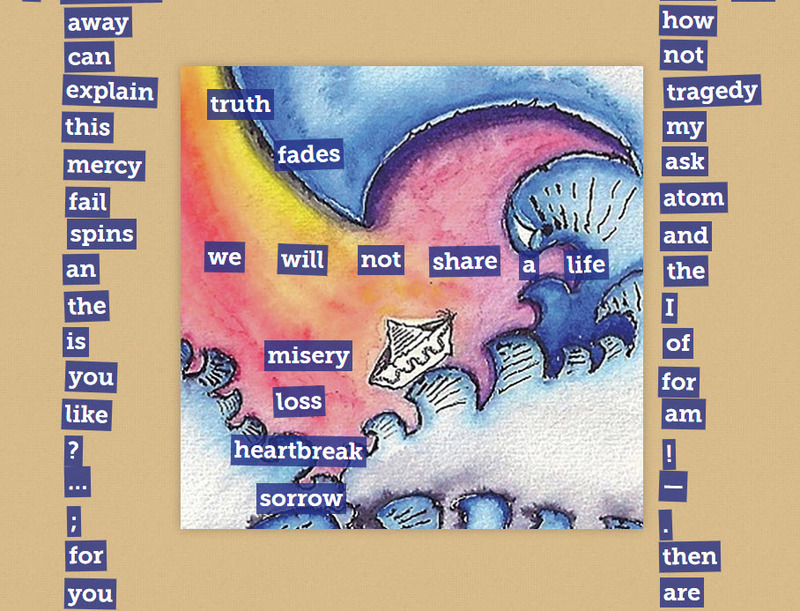 We use the storybook option for this, and each page is a line of the poem. 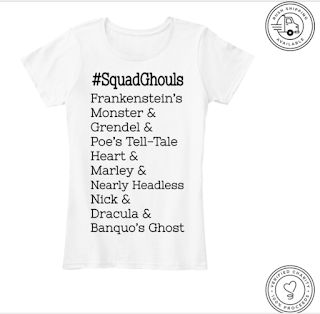 They must end up with 14 pages that show they understand iambic pentameter, sonnet rhyme scheme, and comprehension of the meaning of the poem. 2. 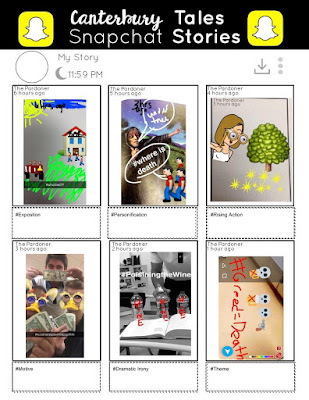 Use Storybird as a tool in satire lessons. When we read Gulliver's travels, I use Dr. Seuss's The Butter Battle Book as a scaffolding technique to teach satire. I follow up this lesson by assigning a project in which students write a children's book addressing a controversial issue by using satire. For example, one of my students chose a later school start time as her issue, and she wrote a children's book using Storybird. She found "animals sleeping" art and came up with a fantastic concept to illustrate how going to school at 7:30 goes against scientific studies on the brain. 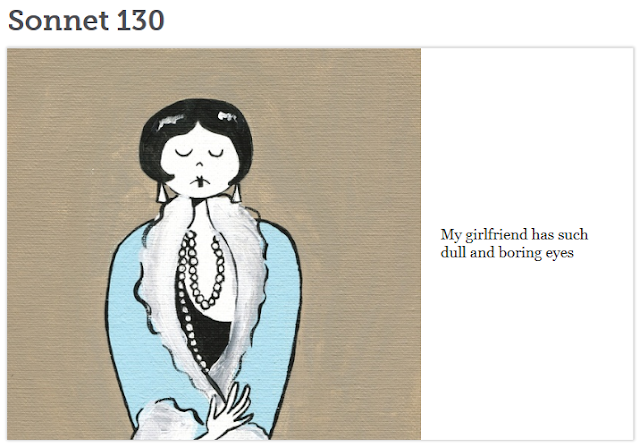 I can't find her story now, but you can find other examples by searching "satire" on the Storybird website. 3. Use Storybird as a platform for theme extension. Sometimes it's not enough for secondary students to simply identify themes in literature. Once they have mastered this concept, I want them to apply their learning and up the scale of Bloom's Taxonomy by creating an original story with the same theme. For example, after reading Thoreau, I have students read Henry Hikes to Fitchburg as a mentor text for how an author extends the themes in Thoreau to create an original work in the form of a children's book. 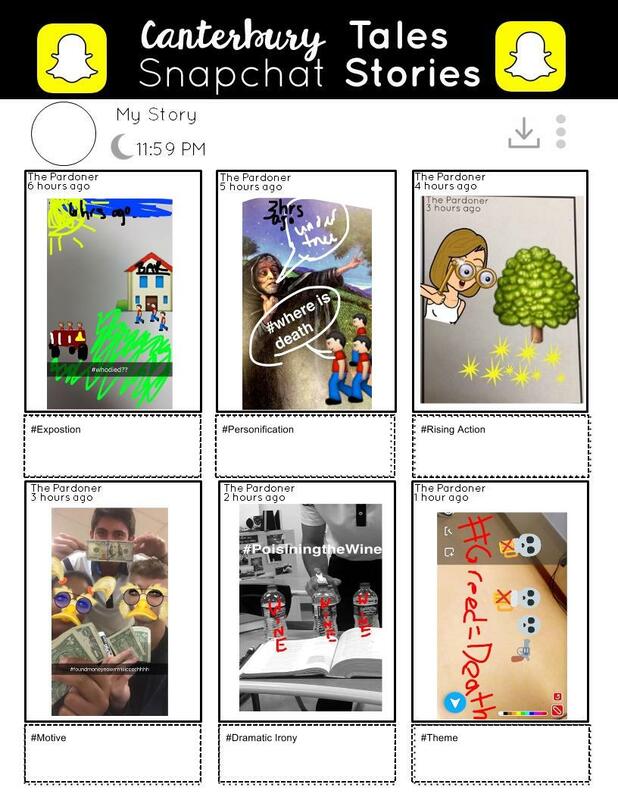 Next, I have students create their own original story that illustrates a theme in Emerson or Thoreau's work. Another way I have used this feature is to have students write a thematic poem. This one is from Gatsby's point-of-view and reflects what Fitzgerald believes about the American Dream. 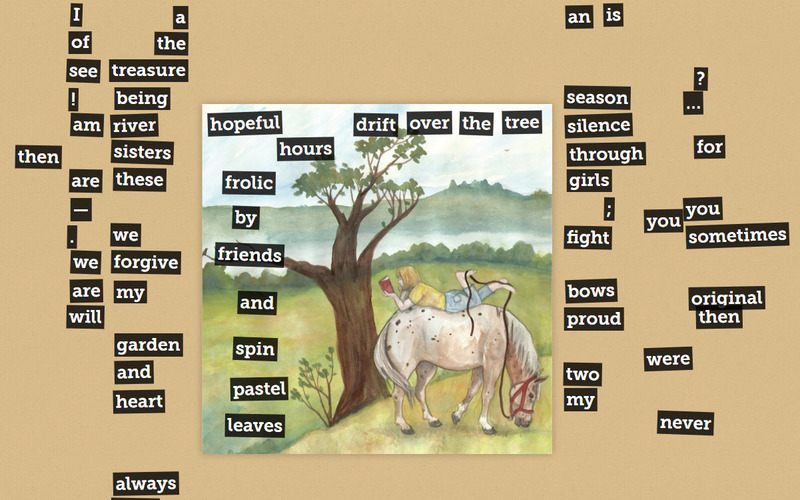 Digital Poetry Activities for ANY Text! 5. Have students narrate grammar concepts using Storybird. 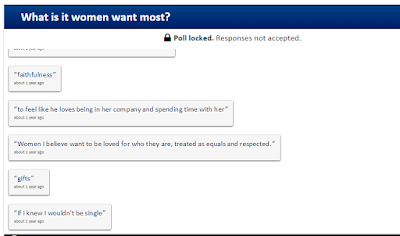 I LOVE this example: The Life and Love of Susie Subordinate: In search of the right Mr. Independent Clause. The math teachers at my school do a lesson on "if/then" conditional problems. I can't remember the details, but I know that secondary math teachers will know what I'm talking about. Anyway, to illustrate this concept, they have students write a story that is like the book If You Give a Mouse a Cookie. Students make up their own stories that show how this will lead back to the beginning, creating a full circle concept. Storybird would be great for this activity! I saw a tweet from Storybird this week that showed a history teacher using Storybird to have students explain the constitution from different points-of-view using the art perspectives. I'm taking a science and ELA integration class right now, and one thing we are learning is that it really helps science students to be able to narrate the concepts they are learning in class. These narrations normally involve personification of a science concept. For instance, my partner and I did a lesson on "Travels with Carbon" in which a carbon molecule goes from coal to a fossil to being set free. This type of personification of science concepts could easily be done with Storybird. 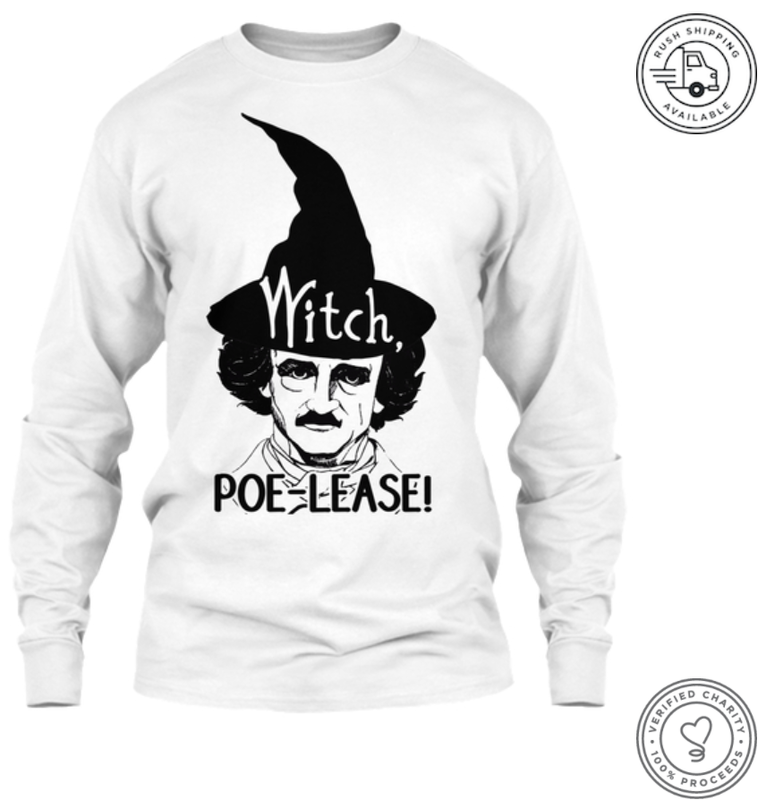 The language teachers at my school base their units on common themes such as "clothing." 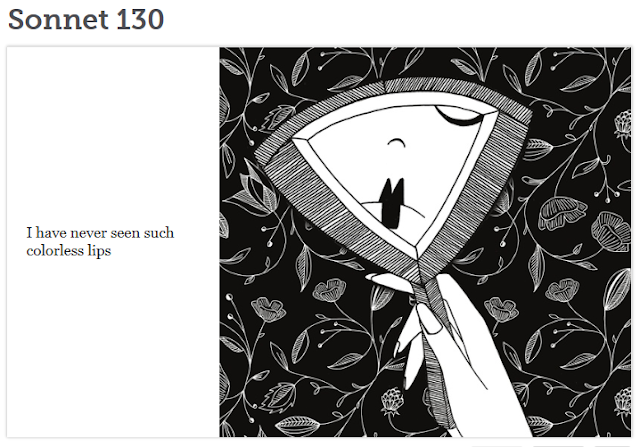 I think it would be so fun to practice new vocabulary by using new words to associate with the art found on Storybird! I would love to hear your ideas and add them to this post! 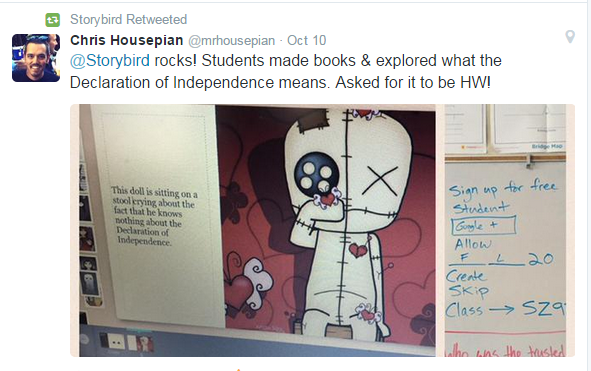 If you are using Storybird with older students, please leave a comment! 1. Getting my students up and moving when the "zombie stares" set in. 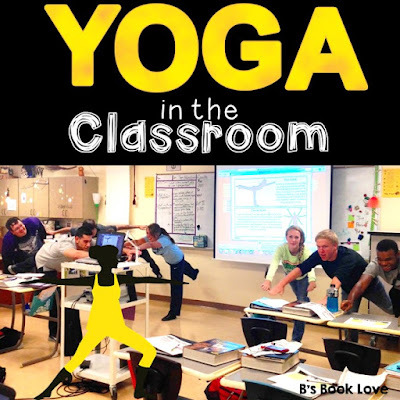 Before coming up with this lesson, I would just have students "stand up and stretch" when we needed to wake up during a particularly long bit of reading. However, that always ended up being a bit awkward because it seemed like the only stretch I could ever think of was the same ol' hands over head one. Now, I have an array of poses to use, and they actually have meaning to them. For example, after reading a lengthy passage, I will say "Stand up and get into your eagle pose, and let's figure out what point-of-view this passage is in. Is it told from an eagle's point of view or a different kind of point-of-view?" 2. An impromptu story or novel review. Often I "forget" to make reviews before tests. Sometimes when I "forget," I will search Kahoot and find a premade game on there. 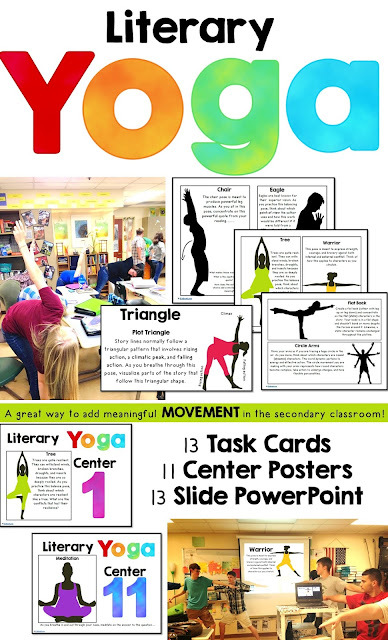 Other times, I will be even more lazy resourceful and have students review by going through the yoga poses and applying them to our review piece. 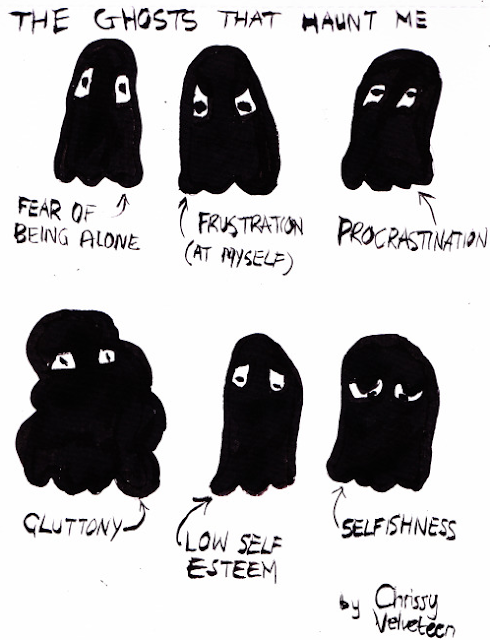 I have done this three different ways. One way is as a whole class activity where I play the PowerPoint with the yoga slides while we answer as a class. The second way is by using the center posters and having students go in groups around the room doing the pose and answering the questions with their partners. The third way is by using my task card basket and having groups pull out a card, do the pose, then answer the question to get points for their team. 3. 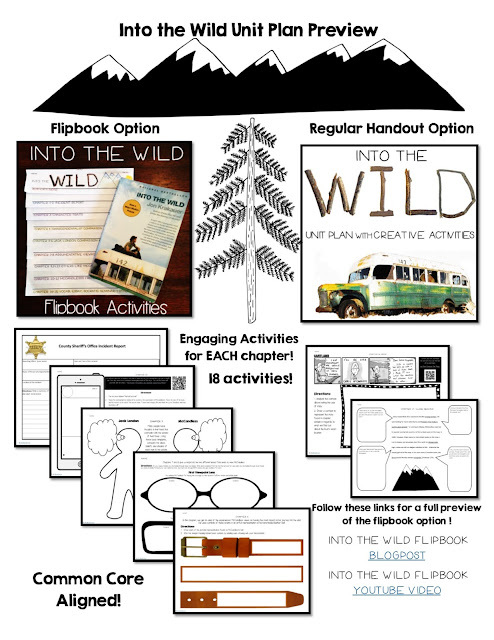 Exit tickets- I make multiple copies the task cards included in this lesson and put them in a basket. I then let students select a pose from the basket and do the task. For their exit ticket, they must either teach another student this pose and task, or they must write down their answer on a sticky note before leaving. 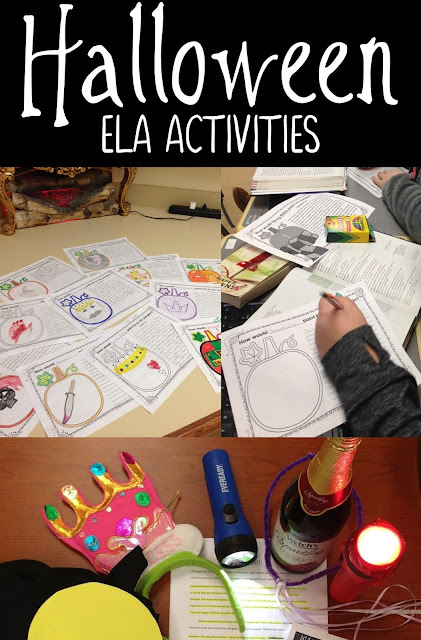 Most of the time I use these activities to wake my high school students up and get the energy flowing, but if I were teaching middle school again, I would use this to help focus students. If you use it for focus, be sure to create a calming presence in your room before beginning. Turn the lights down low and put on a yoga station. My favorites are Pandora'sYoga Workout Radio and Harry Potter Sound Track also on Pandora. 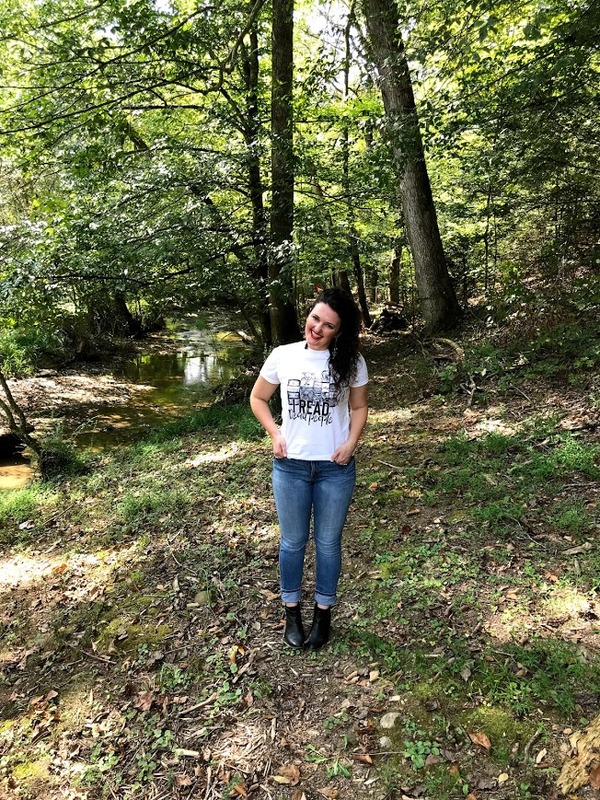 This is a fellow English teacher who does classroom reflection via yoga poses in her classroom, and she is SUCH an inspiration not only through her poses, but also through her words. This yoga educator does so much with the use of yoga to promote self-esteem in students. She is amazing. 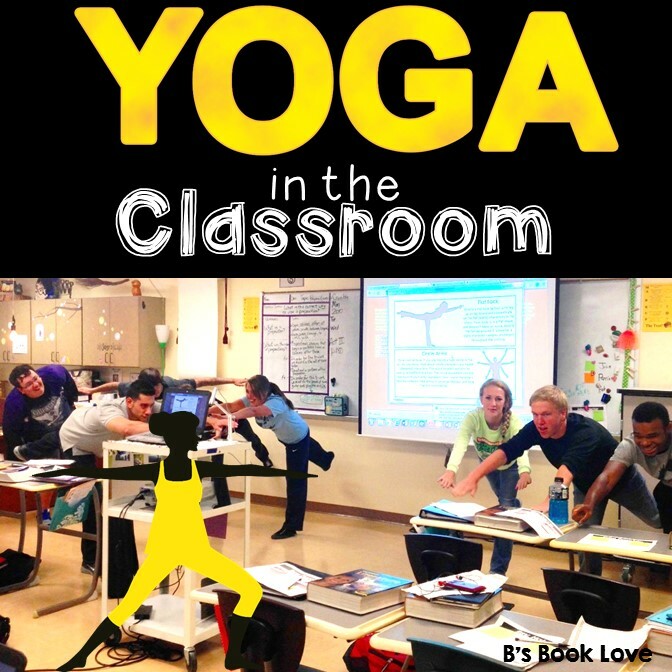 Lastly, this teacher is someone who knows how to have FUN with yoga. I love her quirkiness! Follow Ashley's board English Teacher on Pinterest. One thing I've noticed from teaching Into the Wild the past three years is that if I can keep my students on track with the complicated plot, then they absolutely adore this nonfiction novel. However, if they get lost in the flashbacks and changing settings, then I've lost them forever. To ensure that all students are able to keep up with and connect to this beautiful story, I have designed a flipbook that will keep ALL of their novel activities, notes, and evidence in one nicely organized location. 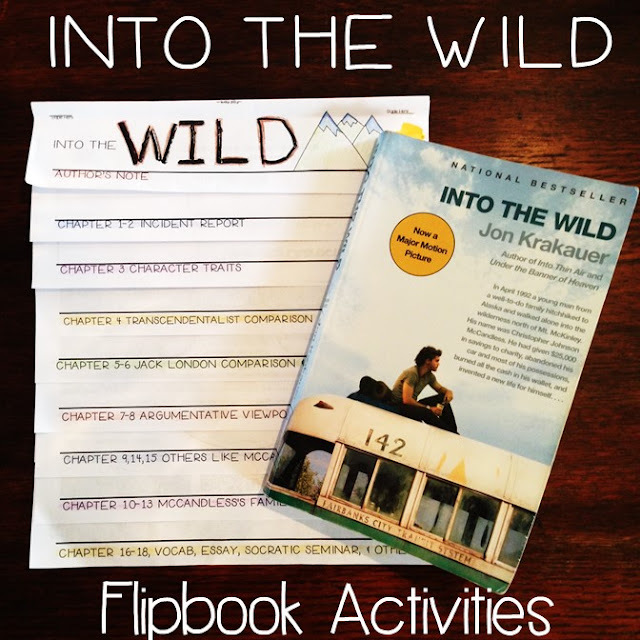 If you would prefer to watch a Youtube video giving instructions on how to put this flipbook together, follow this link: Into the Wild Flipbook . I got into greater detail in the video, so I suggest watching it at least once! Updated: I have now added in a regular handout option to my unit for those who prefer to use the activities as individual activities rather than in a flipbook format! 1. Fold each sheet of paper on the "fold" line provided. Each fold line is numbered so that they are easier to keep organized in case papers go awry. Please make sure to fold to where the "fold here" words appear on the top, visible crease. Once you get to the last page, you should be able to flip that page up and see 9 new (once hidden) tabs. The first one will say "Into the Wild Continued"
If it looks like the photos above, then you have it right. Once you are certain everything is in the right location, straighten your flipbook ensuring each page is tucked tightly into the others. Then, put two staples one the first tab where it says "Staple, Staple."